Welcome to the City of Racine Clerk & Treasurer’s Office. Our Office strives to deliver the best possible service. The City Clerk & Treasurer’s Office is responsible for a wide range of duties. The Office serves as the official records custodian for City Government, Secretary to the Common Council, Secretary to the Public Safety and Licensing Committee, and is responsible for the issuance of approximately 50 different types of licenses. 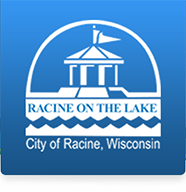 The Clerk & Treasurer’s Office is also responsible for all elections and tax payments in the City of Racine. Where Do I vote? / Who's my Alderman?